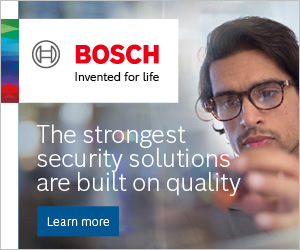 Your business doesn’t stand still, but your security feels static. Whether it’s mechanical keys or wired door locks, access control doesn’t always have the flexibility a changing environment needs. 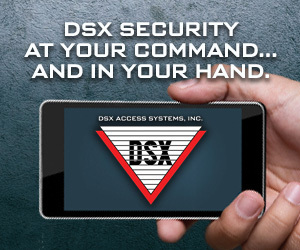 How can you know the time is right to expand your access control system? And what’s the best way to do it? Extending coverage for traditional access control is expensive and intrusive, but there is an alternative. If you want to forget about keys and the hassles of key management, wireless locks are the fast and cost-effective way to extend any access control system. Do you need more control over your site? Has your business expanded to a new building, or do you just want better security for existing offices, records stores or meeting rooms? 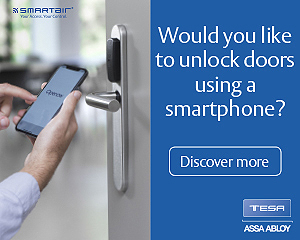 Wireless locks with built-in RFID readers — including Aperio® devices from ASSA ABLOY — enable you to control and audit access at more doors. Battery-powered Aperio® wireless locks integrate seamlessly with installed access control systems from over 100 different manufacturers. Is key management creating more and more workload? Tracking all your keys, re-cutting keys when they are lost or misplaced, replacing locks that have been compromised… these tedious tasks place a heavy workload on a facilities or office manager. Install Aperio® wireless locks and you can forget about keys altogether. No more mechanical keys means no more worries a lost key threatens security at your site. You can amend or cancel a key-card in an instant. Do you need more flexibility in providing access? When your business grows, you don’t want everyone to access everywhere at all times. Adding wireless access control at more doors means you can assign finer-grained access rights to employees, visitors and contractors. So, staff can access communal areas during working hours, while cleaners and other contractors only have out-of-hours access for the duration of their contracts. Only IT staff access the server room; just office administrators and senior managers open the records store. All this — and thousands more bespoke combinations to suit your workplace — are possible without expensive and disruptive cabling, if you fit Aperio® wireless devices to more doors. Aperio® wireless locks work within every major access control system on the market, from more than 100 different manufacturers. Installing them is more cost-effective and faster than hard-wiring extra doors, because there’s no cabling and almost no disruption to your everyday business. The only maintenance needed is a new standard battery every 40,000 cycles (typically 2 years). Aperio® cylinders, handles, escutcheons and complete locks for security doors fit almost any opening: exterior and interior doors, from fire and escape route doors to meeting rooms, labs and offices; wooden, glass or aluminium doors. Aperio® locks are compatible with all common lock profiles: Euro, French, Finnish, Scandinavian and Swiss. Integration with your existing system can be Online or Offline. With Aperio® wireless locks, you’re in control.